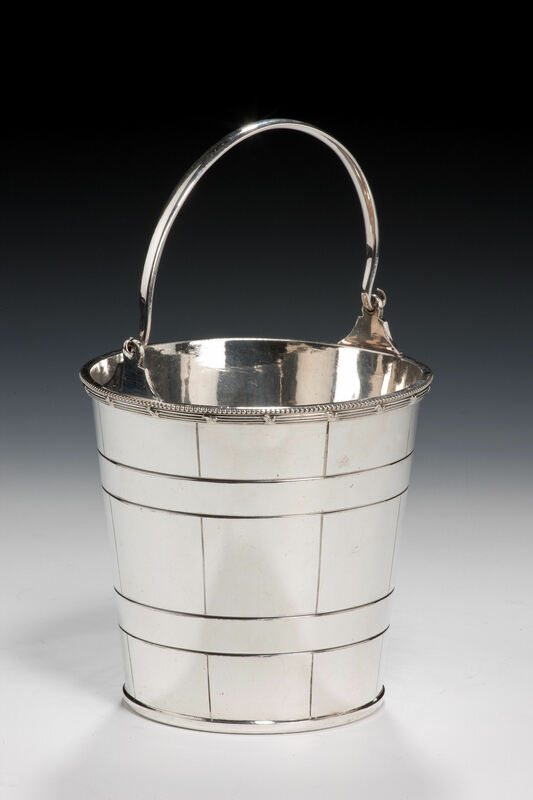 Lovely ice bucket with side round handles. Made in Mexico. Simple clean lines with soft scallop edge. Pierced round liner is silver plated.